A PanaVise Products distributor for over 10 years and a Electronics Parts Supplier since 1962, we have PanaVise Products in stock ready to ship. 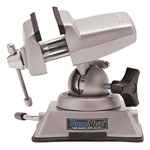 PanaVise is a major manufacturer of precision vises, circuit board holders, work holding tools and mini arbor presses. PanaVise also designs and manufactures mobile electronics mounts for hands-free kits, GPS units, satellite radio receivers, mobile video screens, two-way radios, and mobile data terminals -- if it's electronic and mobile, we can hold it! 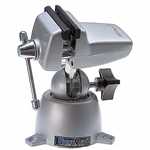 Panavise 396 Wide Opening Head PanaVise - The work holding tool with EXPANDED capabilities! Panavise 301 Standard Panavise - The Original Small Vise! Panavise 311 Bench Clamp Base Mount - Clamps to a table, workbench, ladder ... wherever you need it! QUANTITIES ARE LIMITED - ORDER NOW! 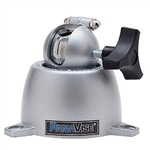 Panavise 366 Wide Opening Head - Hold larger objects with this general purpose Vise Head! 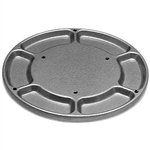 Panavise 300 Standard Base - Our most popular base! 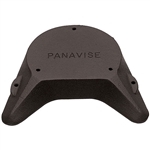 Panavise 305 Low-Profile Base - Lowest profile Base on the market! Panavise 316 Circuit Board Arms - Add a set of arms and work on multiple boards side-by-side! 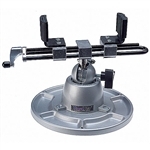 In the security industry, PanaVise is a premier supplier of high quality CCTV camera mounts. For professional sound installers and home theater enthusiasts, their speaker mounts are the superior choice. Specialty and OEM mounting solutions are provided through their custom engineering section.